Coffee is a necessity in my life. Of course it is- I have 6 children! My last full night of sleep was probably in 2003. I’m pretty sure I’m addicted to coffee. When I shut my eyes at night, my last thought is often about the cup of coffee I’ll get as soon as I wake up. My children know that Mommy needs her morning coffee in hand before answering any questions. Any words hitting my ears before that first sip (or, let’s be real- before that first cup) might as well be in a foreign language. By the time afternoon arrives, I’ve been running nonstop since that first morning cup of coffee. That’s when I most love my single serve coffee maker. After the baby goes down for a nap and the big kids settle down with quiet activities, I can savor a steaming cup of coffee without fear of spilling it on a small child. AND actually enjoy my coffee before it goes cold! Single serve is great for a quick cuppa, but it is hard to beat the taste of freshly ground, freshly brewed coffee. Single serve coffee cups often come with a less than fresh taste. 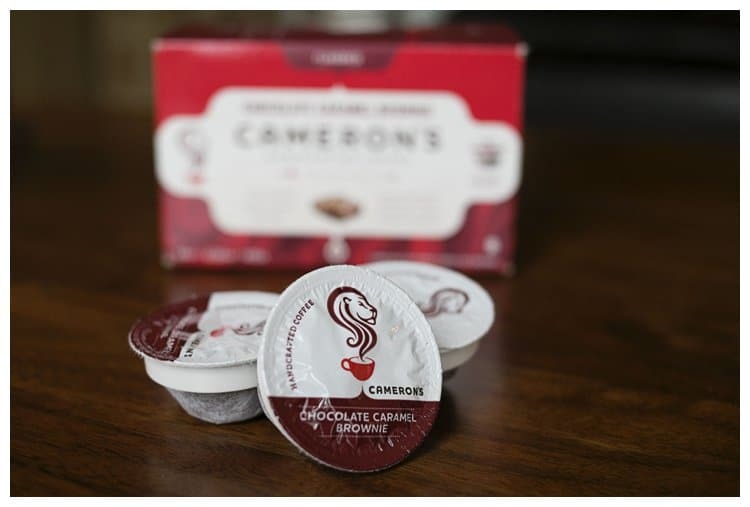 Cameron’s Coffee offers coffee drinkers the convenience of single serve coffee brewed through a coffee filter instead of a plastic cup, resulting in fresher, more authentic flavor. Cameron’s Coffee gave me the opportunity to try this innovative alternative to traditional plastic K-cups. Now, I can enjoy my single serve coffee machine without sacrificing flavor- no more plastic taste. Plus, Cameron’s Filtered Single Serve Coffees create less waste than plastic capsules. 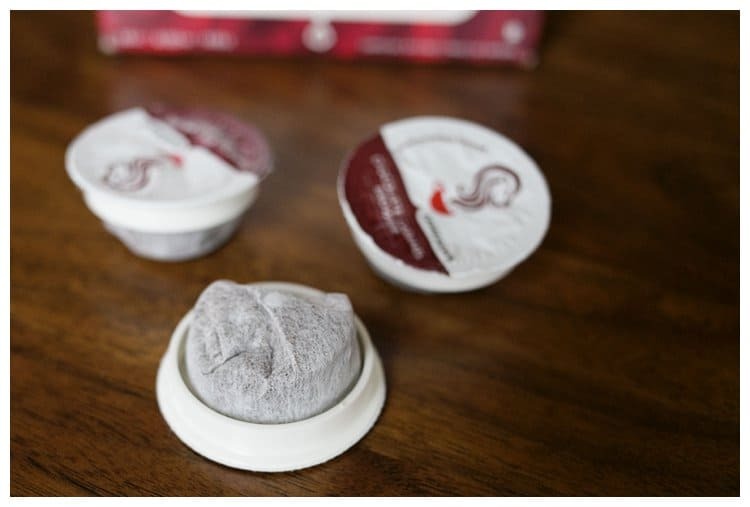 The single serve coffee pods are also BPA free and polystyrene free! 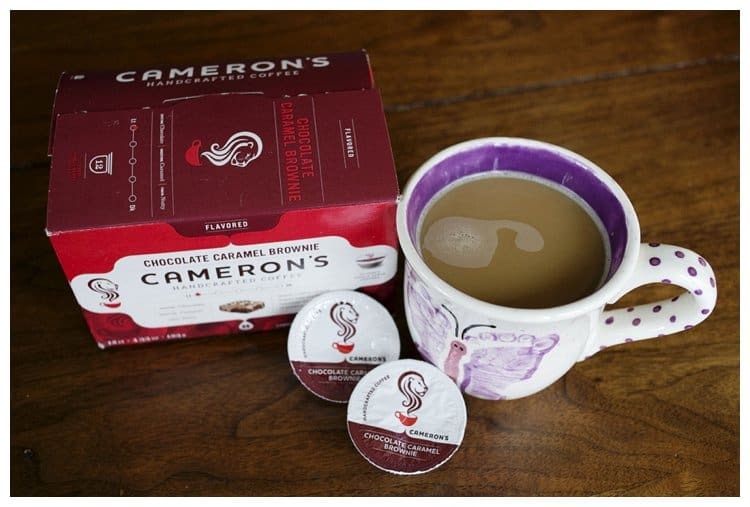 You can get a FREE box of Cameron’s Filtered Single Serve Coffee shipped straight to your house too! Just make and submit your own #Crushthecups video by December 22nd, 2014 for your free box. Fun, right?! Michael really got into destroying that plastic cup! And now a free box of Cameron’s Coffee will arrive on our doorstep. I can’t wait to try even more flavors of Cameron’s Coffee. They offer 12 varieties, including Jamaica Blue Mountain Blend, French Vanilla Almond, Cinnamon Sugar Cookie, Chocolate Caramel Brownie, Toasted Southern Pecan and many more. Thank you to Cameron’s Coffee for sponsoring today’s post and inspiring me to Crush the Cups!